NEW YORK, March 13, 2017 /PRNewswire/ — In the wake of recent news that Apple has joined the Wireless Power Consortium, Powermat announced that the company would be ready to support iPhones with whatever wireless charging protocol Apple employs. Recognizing Apple’s ability to bring wireless charging into the mainstream by the sheer volume of iPhones in the market, Powermat celebrated the impending growth of the wireless charging category as the fulfillment of a vision from a decade ago. Powermat made a decision some time ago to become the umbrella provider of wireless charging for all standards and protocols in an effort to ensure that as many people as possible could benefit from wireless power delivery. The Powermat platform has always been capable of supporting multiple protocols. For that reason, Powermat opened their network so that all industry players could connect. 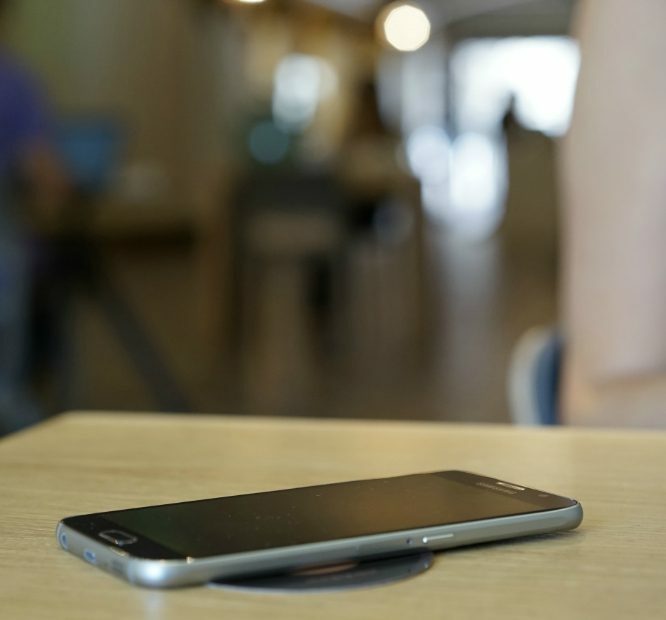 Powermat currently leads the category in real estate with wireless charging capability being installed in Starbucks stores across the US and abroad. There are currently 12,000 Powermat charging spots used regularly by consumers in public venues. Powermat is also currently installed in over 1 million GM vehicles and more than 250 million mobile devices in the market. Powermat’s partners also include Duracell and AT&T among many others. Powermat is the pioneer and leader of the wireless power industry. Enjoyed by millions of consumers worldwide, Powermat’s technology is the platform of choice for such global leaders as Duracell, General Motors, AT&T and Starbucks. Please find out more at https://www.powermat.com.